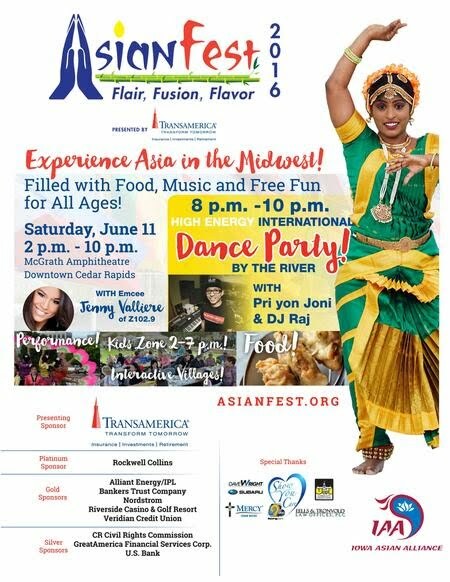 The Asian fest is being held on Saturday, June 11th 2016 at the McGrath Amphitheater in Cedar Rapids. FOICR will also be setting up a booth to represent the Indian Culture and share with Eastern Iowa our colorful traditions, language, clothing, and activities that make our culture unique. We intend to have Saree wrapping, Henna art, Cricket kit on display in the FOICR Booth. We are looking for volunteers who can help us at the FOICR booth with the above activities, Also If you are interested in Displaying an Indian Artifact, Please e-mail the FOICR volunteer chair Prathap Thotapalle at volunteerchair@foicr.org.